In rare cases, you might want to collect additional information about your donors when they give to your campaign or organization. 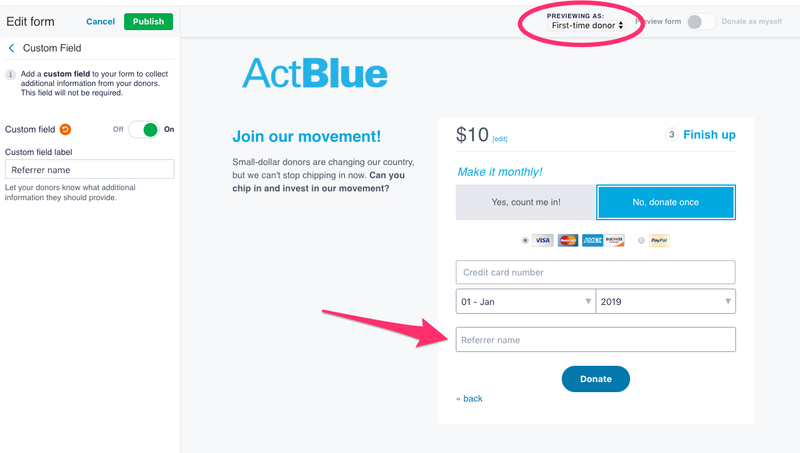 All ActBlue contribution forms already require donors to fill out important information such as their name, email, address, occupation, and employer, and some forms will also ask for phone number and employer’s address depending on local campaign finance laws. For the most part, campaigns and organizations will not need to use our Custom Field feature to gather more information and add steps to the giving process. 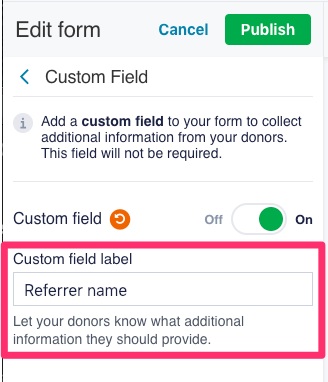 But if you do need to ask donors for additional info, here’s how to add a Custom Field to your form. 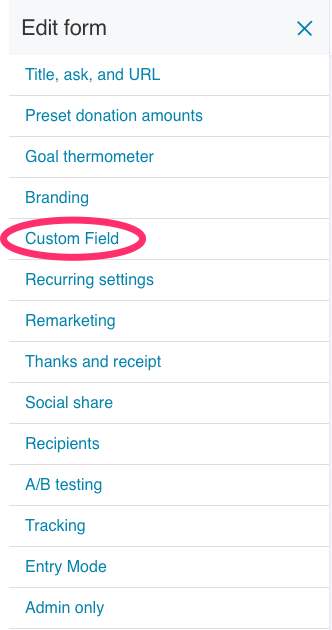 Go to your form editor to turn Custom Field on for your contribution form. Then in the “Custom field label” section, clearly specify the information that you need from your donors. For example, label the field “Referrer name” if you want your donors to enter which of your passionate supporters referred them to give to you. 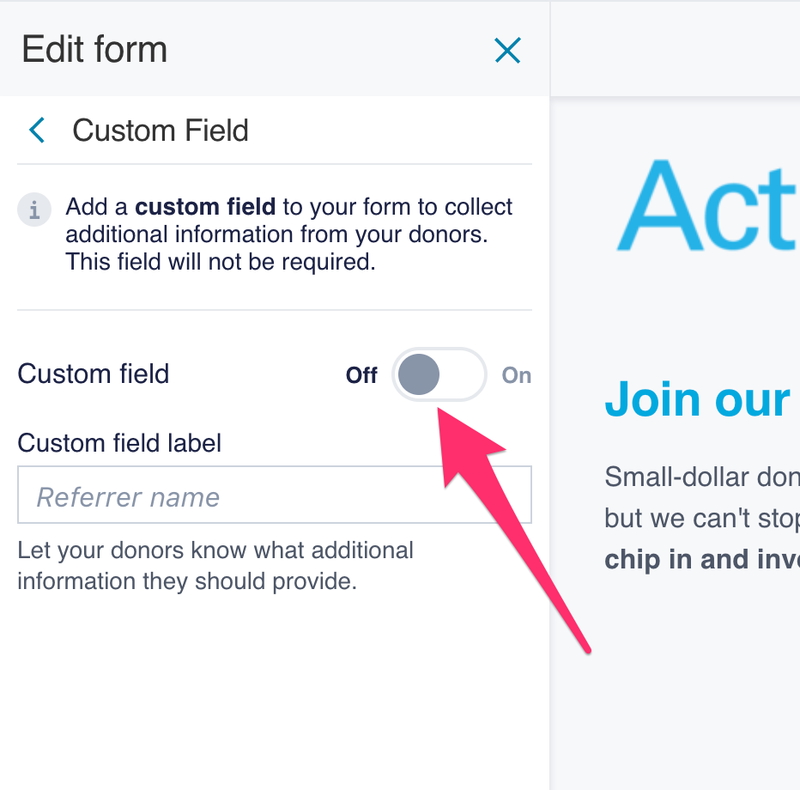 Please note that because all ActBlue forms already ask for important donor information, you can add one Custom Field to your form to ask for an additional piece of information. Once everything looks good on your form, click the “Publish” button at the top of the form editor to save your changes! 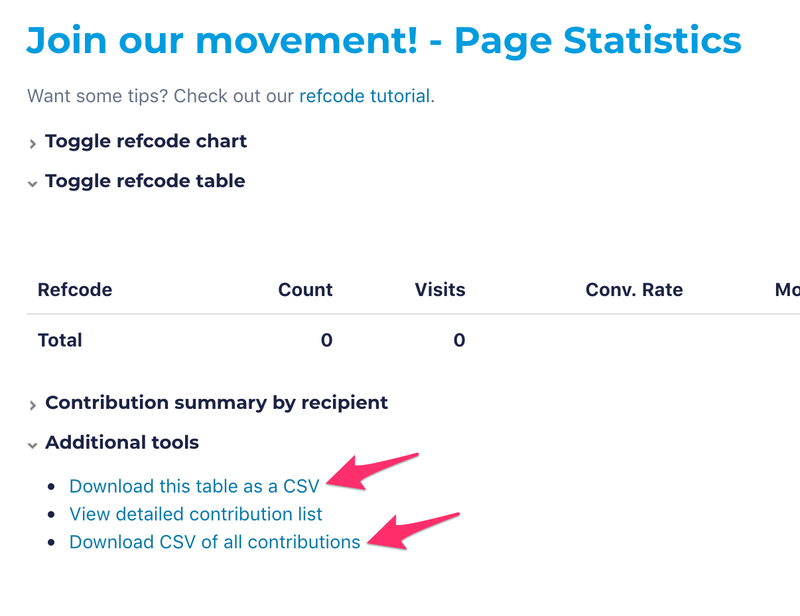 You can find donor information collected from your Custom Field along with all other contribution information in your form’s two CSV files, which you can download from its Statistics page. Custom Field information will be the last column of your CSV. Please note you will not find Custom Field information in the CSVs available in the “Reporting” tab of your Dashboard.